Main » 2010 » December » 11 » Stack Waddy ~ 1972 ~ Bugger Off! 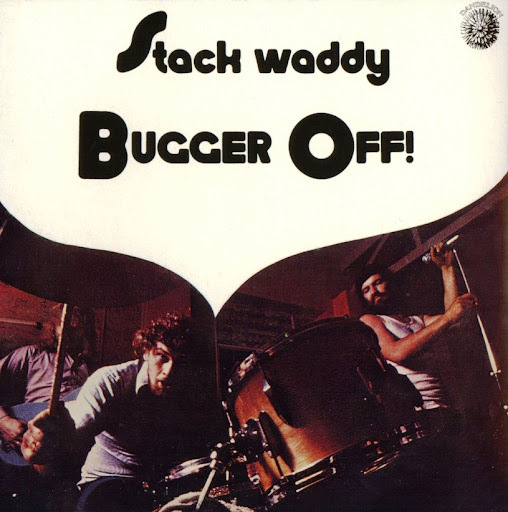 Stack Waddy ~ 1972 ~ Bugger Off! I've first two Stacwaddy albums on one CD version, but this one is far better. Thanks for the post. I used to have the 2-fer version of both albums that omited 1 track to fit on one. I've missed this - much thanks. Any Capt. Beefheart lover should hear this if they haven't already. Thank you for the post,i don't know this group but i know the songs ,and since i 'm a blues lover i thought to give it a try. thanks also for the hole effort,i have found here some excellent and rare albums .you're passion is our guide to this magnificent world of music.